The small, humble city of Stanwood is connected to the Beautiful Camano Islands by the Gateway Bridge. Stanwood is home to two buildings that are on the National Register of Historic places, The D.O. Pearson house which is now apart of the Stanwood history museum built in 1890, and the Stanwood IOOF public hall built in 1903 now the Nagaard cultural center. Looking for a great place to raise a family? Stanwood has it, with one high school Stanwood High School, two middle schools Port Susan High School and Stanwood Middle School , and three elementary schools Cedarhome elementary school, Stanwood Elementary School, and Twin City Elementary in town with two others on Camano Island. Come join this small community and get to know your neighbors! 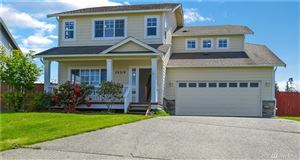 Call 360-679-4585 today for a viewing of a home!